If there is one thing I’m always short on, it’s yellow containers! I’m always looking for no yellow snack recipes! I love these snack ideas for 80 Day Obsession too, as it’s pretty tough to find easy to grab meals with the container guidelines they have! I know that I can easily add or sub an ingredient to make it fit within my container plan. Craving something sweet? Key Lime Pie Wonder Whip is so easy to make and it’s actually a red?! Say what?! It’s a great treat for when a sweets craving hits. Buffalo Chicken Dip is a red and blue treat that is perfect for when you need something savory and indulgent. It’s the perfect blend of salty and cheesy! Garlic Parmesan Meatballs These garlic parmesan meatballs are perfect for a mid day snack, they use red, blue, and green containers only. No yellow, hooray! Mini Bell Pepper Nachos These mini bell pepper nachos are a red, green, and blue container treat. They’re a delicious indulgence that won’t cost you any yellow containers. Raspberry Filled Chocolates Are you a chocolate lover? If so, you need to try these raspberry filled chocolates. No yellows, just teaspoons for these super tasty treats. Enchilada Beef Dip I love a good dip recipe. With fresh veggies for dipping this enchilada beef dip is only red, blue, and green containers! Cloud Bread Need something to toast for dipping in all of these great recipes?! A red container recipe like this cloud bread will do the trick. One Step Homemade Salsa Homemade salsa is a green container and perfect for topping salads, dipping veggies, and toasted cloud bread goes great with this salsa. Copycat Panera Hummus Can we talk about how delicious this homemade hummus is?! You can enjoy this with veggies, cloud bread, or on a spoon! It’s a blue container treat! Banana Split Pudding If you need something sweet you won’t want to miss out on this banana split pudding. It’s actually packing. little protein punch with a red, purple, and sugar tsp for counts! Crack Chicken Are you looking for a little afternoon pick up to hold you over until dinner? This protein packed snack is a red and you can include a blue as well! Why should I choose a 21 Day Fix no yellow snack? If you choose not to use your yellows on snacks you can use them for other great stuff…like treat swaps and alcohol! Sometimes I like to be able to indulge in other areas as well! Not using my yellows when snacking means that I can have that pasta recipe for dinner or some bread at breakfast or with lunch. Whatever your reasons are for choosing a no yellow snack recipe you won’t be disappointed by this list! 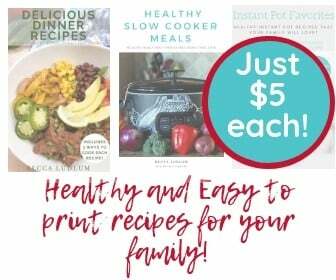 There are so many great recipes to choose from, everything from sweet to savory and back again. Queso Dip with Vegetables instead of chips comes with a blue and green container count. It’s a great treat that requires no yellows! Mediterranean Egg Cups Making egg cups for breakfast is a great idea but they also make a great snack. There are only red, green, and blue containers in these delicious and totally portable snacks! Copycat Starbucks Egg Bites Do you stop at Starbucks for a morning boost? If so, these copycat Starbucks egg bites will help you avoid the less healthy version in the store! These are a red and blue container recipe. Chocolate Peanut Butter Wonder Whip I mean, is there a better combination than chocolate and peanut butter?! I think not! The great news is that this delicious Wonder Whip recipe is a red container treat! Sausage and Pineapple Bites If you prefer a breakfast food that is more savory and sweet combined you’ll want to give these sausage and pineapple bites a try. They need a red and purple container for tracking! Green Smoothie This smoothie recipe is a purple and a green and then you need to track milk if you want to add that instead of water. It’s an easy way to start off the day or give yourself a snack that travels well. Apple Cinnamon Wonder Whip Recipe One of my favorite flavor combos is apple cinnamon. It’s reminiscent of the most delicious desserts, apple pie! No Bean Pumpkin Hummus Pumpkin hummus is a delicious snacking option. Pumpkin is not just for halloween and this green and orange container recipe requires no sacrifices in the yellow department. Two Ingredient Banana Pancakes I love making these pancakes for breakfast but they’re also a great snacking option. When I have extra room I top them with peanut butter, they’re a red and purple recipe and of course you can some tsps if you have them to spare! Can I meal prep with these 21 Day Fix No Yellow Snack Recipes? Absolutely! In fact, I recommend that you do just that! Meal prep and planning ahead always makes my life easier, it also helps keep me on track with my 21 Day Fix or Portion Fix plan. You don’t have to dive in head first with full blown meal plans for it to be a success, either. When I began meal planning I started with snacks. They’re the place that I have the most trouble so it made sense that if I could plan ahead and avoid cheating with snacks I’d have more success overall. Meal prepping your snacks for the whole week is easy with this many great recipes on hand. Even better, none of these recipes have any yellows so you’ll be able to reserve those for your other meals! Ranch Dip This is actually a red recipe. You can enjoy this delicious ranch dip with veggies or even cloud bread. Chipotle Copycat Guacamole Got some extra room in your day for a blue container treat? This chipotle guac is so tasty and it’s actually pretty easy to whip up as well! Mini Zucchini Pizzas There’s nothing worse than a pizza craving when you are trying to avoid yellow containers. These mini zucchini pizzas are only greens and blue! Chocolate Mint Wonder Whip Recipe Another sweet treat option is this chocolate mint Wonder Whip. It’s easy to make, requires no yellow containers, and you can eat it for breakfast every day if you want!